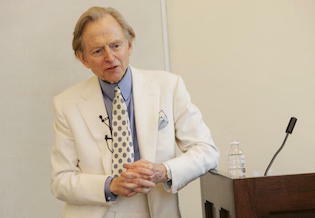 In 1965 Tom Wolfe visited Princeton University for a panel discussion of "the style of the Sixties." The author of The Kandy-Kolored Tangerine-Flake Streamline Baby, published that year, was scheduled to appear alongside Günter Grass, Allen Ginsberg, and Paul Krassner. Grass spoke first. The German novelist's remarks, Wolfe wrote later, "were grave and passionate. They were about the responsibility of the artist in a time of struggle and crisis." And they were crudely dismissed by Krassner. "The next thing I knew," Wolfe wrote, "the discussion was onto the subject of fascism in America." How little our intellectual climate has changed between that evening in the sixties and Wolfe's death on May 14. America's writers, artists, and thinkers, and their media manqué, continue to argue that our civilization is decadent, sexist, racist, torn asunder, on the verge of succumbing to authoritarianism or fascism, the population impoverished, the environment despoiled, the world made worse by our presence. The chorus of doom and gloom includes the latest issues of both The Atlantic, which chastises "the new American aristocracy" of the "9.9 percent" (the one percent being too exclusive! ), and Time, which laments "How Baby Boomers Broke America." And yet, as I write, the unemployment rate is 3.9 percent, per capita disposable income is at a high, and according to Gallup more people are satisfied with the direction of the country than at any time in 13 years. 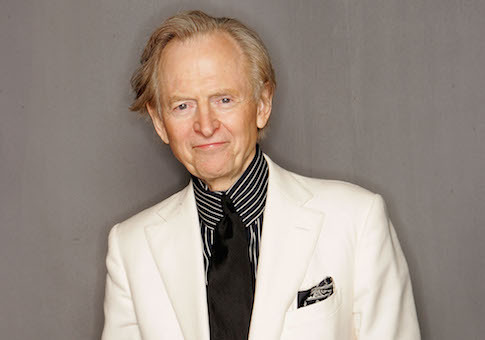 Tom Wolfe has been celebrated for his literary innovations and output, his sartorial panache, his gimlet eye, his unfailing gentility. But his reputation as a Grand Old Man of Letters should not obscure one of his most important themes: the inability of American intellectuals to understand and appreciate their country. Educated at Washington and Lee University and Yale, Wolfe held a doctorate in American studies and could reference Weber, Veblen, Durkheim, Nietzsche, and Darwin with the best of them. But he resisted membership in the "herd of independent minds," choosing instead to join the ranks of counter-intellectuals who problematized not middle-class society but its critics on campus, in media, and along the radical frontier of the Democratic Party. Wolfe is often overlooked as a counter-intellectual because his method was not polemic but devastating, irresistible satire. He was Jonathan Swift in a white suit. 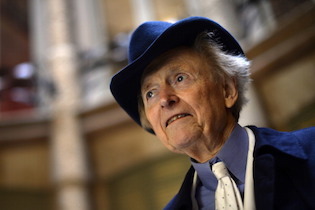 Wolfe brought low those figures, institutions, and movements intellectuals hold in esteem, while elevating the factors in society that intellectuals typically condescend to or denigrate outright. Radical chic, the Community Action Plan, modern art and architecture, the New Yorker, literary fiction, the Victorian Gents of the press, well-meaning politicians, the modern university, and Noam Chomsky were his targets. The Good Old Boys, stock-car racers, naval aviators, astronauts, and Cuban-American cops with machismo were his heroes. If left-wing intellectuals celebrated a trans-valuation of values that privileged the absurd, the surreal, the deviant, the deranged, and the marginal over bourgeois propriety, steadfastness, patriotism, tradition, hierarchy, and manliness, Wolfe did the opposite. His immersive reporting and wicked pen exposed the pretense and self-delusion of intellectuals as he revealed the heroism and nobility of workers, soldiers, parents, cops, and America herself. How had American intellectuals lost sight of their native ground? How had they turned into a bunch of anti-Panglosses, forever reminding their readers, viewers, and acolytes that America is the worst of all possible worlds? Wolfe traced this phenomenon back to the aftermath of the First World War. As a result of education, travel, and cultural exchange, our scholars, writers, and thinkers became enamored of European modes of thought and expression over American ones. They drank the anisette—and never looked back. American architecture had never recovered from the deadening influence of the German Bauhaus movement of the twenties. American painting and sculpture had never recovered from the deadening influence of various theory-driven French movements, beginning with Cubism early in the twentieth century. In music, the early twentieth-century innovations of George Gershwin, Aaron Copland, Duke Ellington, and Ferde Grofé had been swept away by the abstract, mathematical formulas of the Austrian composer Arnold Schoenberg. Schoenberg’s influence had faded in the 1990s, but the damage had been done. The American theater had never recovered from the Absurdism of Samuel Beckett, Bertolt Brecht, and Luigi Pirandello. But, above all, there was the curious case of American philosophy—which no longer existed. It was as if Emerson, Charles Peirce, William James, and John Dewey had never lived. The reigning doctrine was deconstruction, whose hierophants were two Frenchmen, Michel Foucault and Jacques Derrida. They began with a hyperdilation of a pronouncement of Nietzsche’s to the effect that there can be no absolute truth, merely many ‘truths,’ which are the tools of various groups, classes, or forces. From this, the deconstructionists proceeded to the doctrine that language is the most insidious tool of all. The philosopher’s duty was to deconstruct the language, expose its hidden agendas, and help save the victims of the American ‘Establishment’: women, the poor, nonwhites, homosexuals, and hardwood trees. This displacement of American literature, art, architecture, music, and philosophy by European imports was complete by the end of the Second World War. But U.S. victory over fascism and imperialism did not lead to a renewed appreciation for or interest in American life. On the contrary: The intellectuals attacked America's conformism, its lonely crowds, its organization men in boring winter clothes, its politicians rooting out Communist Party members from government posts. Moreover, the postwar economic boom had expanded the ranks of intellectuals and pseudo-intellectuals. No longer was creative output required for highbrow posturing. And the market for societal self-flagellation was immense. The intellectual had become not so much an occupational type as a status type. He was like the medieval cleric, most of whose energies were devoted to separating himself from the mob—which in modern times, in Revel’s phrase, goes under the name of the middle class. … Moral indignation was the main thing; that, and a certain pattern of consumption. In fact, by the 1960s it was no longer necessary to produce literature, scholarship, or art—or even to be involved in such matters, except as a consumer—in order to qualify as an intellectual. It was only necessary to live la vie intellectuelle. A little brown bread in a bread box, a lapsed pledge card to CORE, a stereo and a record rack full of Coltrane and all the Beatles albums from Revolver on, white walls, a huge Dracaena marginata plant, which is there because all the furniture is so clean-lined and spare that without this piece of frondose tropical Victoriana the room looks empty, a stack of unread New York Review of Books rising up in a surly mound of subscription guilt, the conviction that America is materialistic, repressive, bloated, and deadened by its Silent Majority, which resides in the heartland, three grocery boxes full of pop bottles wedged in behind the refrigerator and destined (one of these days) for the Recycling Center, a small, uncomfortable European car—that pretty well got the job done. Replace the brown bread with gluten-free bran muffins, the CORE pledge with a Bernie bumper sticker, the Beatles albums with Spotify, the Dracaena marginata with a rescue beagle mix, and the New York Review with Jacobin, n+1, and We Were Eight Years in Power by Ta-Nehisi Coates, and you too can qualify as an intellectual today. Intellectuals emphasize the disparity between the ideal and the actual. What Wolfe did was highlight the difference between what intellectuals say and how intellectuals behave. "Maude Gloves & Madmen, Clutter & Vine" is about the materialism of a writer who makes a living denouncing materialism. One of Wolfe's cartoons, "The Famous Writer on the College Lecture Circuit," features a turtle-necked beatnik holding forth at the lectern as he contemplates whether to sleep with the blond co-ed or the redhead one. In "Radical Chic" the nostalgie de la boue of Leonard Bernstein's houseguests begins to wear thin as the Black Panthers discuss what their revolution might entail. In lampooning the intellectuals, Wolfe was drawing attention to the fact that they, for all their self-flattery and huffiness, are no less human than the rest of us. And to be human means to be flawed, ignorant, obsessed with status, convinced of a "fiction-absolute" that prioritizes your group above all others, weak, easily swayed by the surrounding culture, and captive to the functions and desires of our bodies. What makes intellectuals special and dangerous is that their capacity for self-delusion, shared by us all, can easily be put in the service of terrible ideologies and destructive politics. A prophet, I presume, enjoys seeing his prophecies come true, but I have the feeling Nietzsche would have become bored by a hundred years of … ‘the intellectual' … I can almost hear that hortatory and apostrophic voice of his: How could you writers and academics have settled for such an easy, indolent role—for so long! How could you have chosen a facile snobbery over the hard work, the endless work, the Herculean work of gaining knowledge? I think he would have shaken his head over their ponderous, amateurish theories of cognition and sexuality. I think he would have grown weary of their dogged skepticism, cynicism, irony, and contempt and would have said, Why don't you admit it to me (no one need know—after all, I'm dead): if you must rate nations, at this moment in history your ‘accursed' America is the very micrometer by which all others must be measured. And he would have been right. 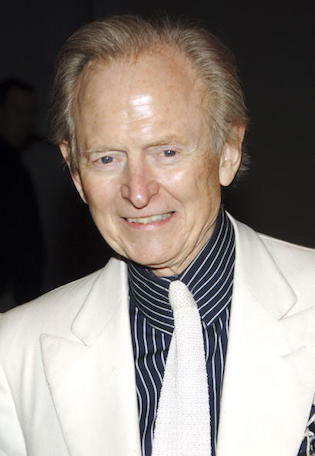 The job of counter-intellectuals like Tom Wolfe is to stop intellectuals from ruining things for the rest of us. And turn our eyes toward the Happiness Explosion.